Machinery Canyon is a spectacular gorge with a series of six waterfalls, all of which we descend by abseiling. 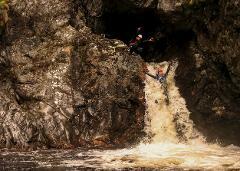 A great fun introduction to the world of canyoning. 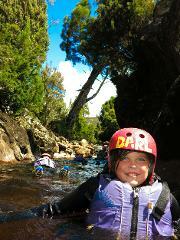 A half day tour where we walk and float down a stunning river, with optional jumps and other challenges along the way. Buy online and receive the Gift Card instantly to your email. 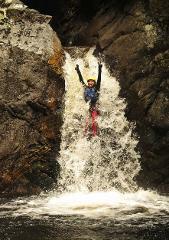 Our most popular tour - a full day of waterfall jumps, slides and abseils. Buy online and receive the Gift Card instantly to your email.